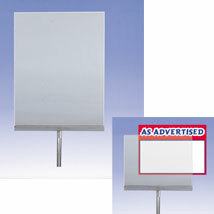 Acrylic sign holders are available in several sizes. Use sign holders along with stems and bases, sold separately. Search apparel sign bases.